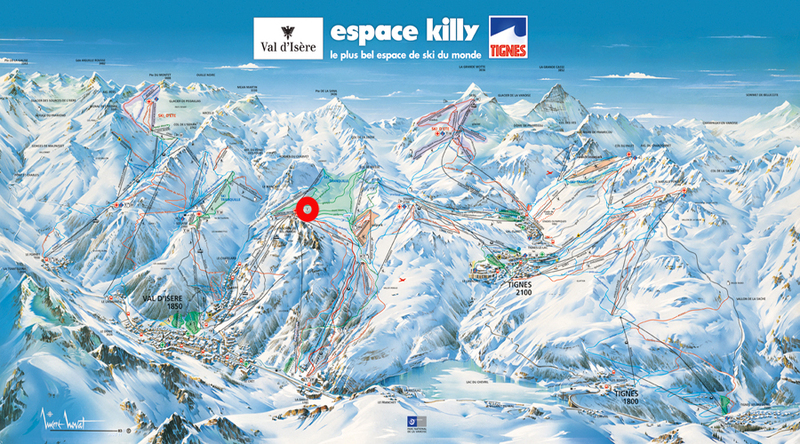 is located at the departures of the slopes, the mythical Face de Bellevarde and the OK, tracks of the world championships of alpine skiing and the Olympic Games. The chalet is as well known for the reception of the riders of the different ski teams during the World Cups as for the start of the torchlight descents that take place throughout the winter thanks to the ski instructors of the resort. These make this place a very festive place. In a warm and comfortable setting, you will discover a gourmet and tasty catering menu, as well as delicious Savoyard specialties. For aperitif and digestive, the small lounge with fireplace will rest your hectic ski descents. and on the mountains of the Gran Paradiso Park at Mont Blanc.